This is one of my favourite shots taken on the boat back from Paxos to Corfu after a wonderful holiday. 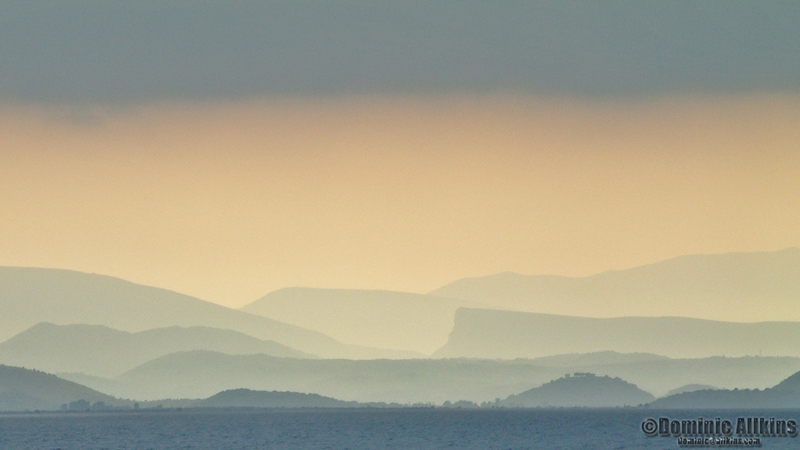 We had to get up early in the morning to get the boat to catch the flight home and looking over towards Greece there was the lovely effect of the mist over the hills with the early morning light. A lovely reminder of a great holiday. This entry was posted on Thursday, August 19th, 2010 at 04:35 and is filed under Blog, Images. You can follow any responses to this entry through the RSS 2.0 feed. You can leave a response, or trackback from your own site. Oh wow.. lovely graduated tones! Yep – it is beautiful. It was the perfect end to the holiday really too – so lots of nice memories.